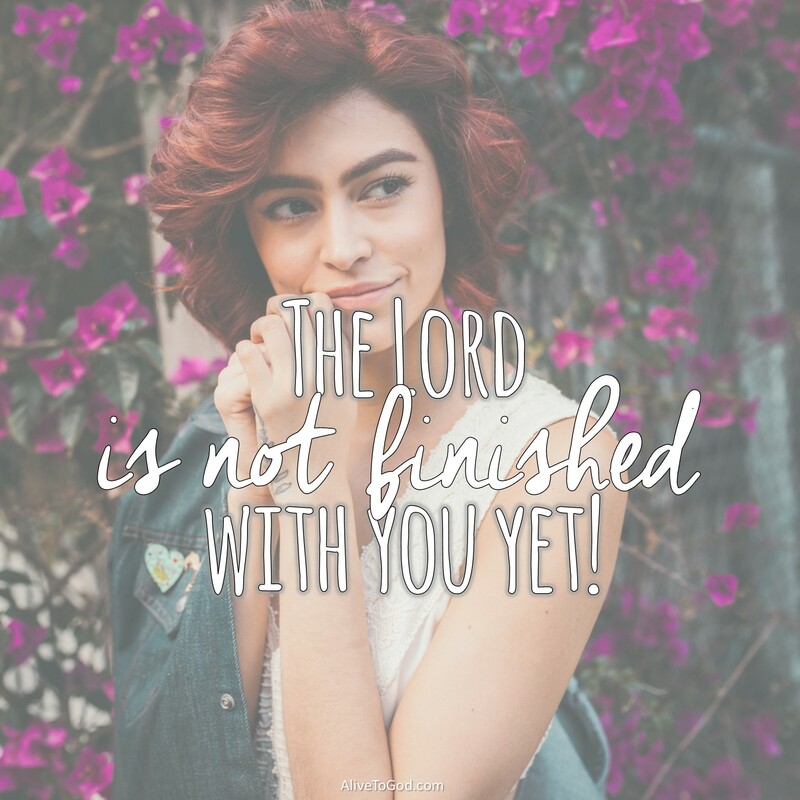 The Lord is not finished with you yet and He will continue to work in your life. The work He does in our lives is always a ‘good’ work with the prospect of wonderful things. The good work that He is doing within you is an ongoing process, but it will be completed. Prayer: Lord, thank You that You are at work in my life. You are doing a wonderful and a good work in line with Your purposes and plans for my life. I embrace Your work in my life. Amen. Ons is almal ‘n onvoltooide werk! Die Here is nog nie klaar met jou nie en Hy sal aanhou om in jou lewe te werk. Die werk wat hy in ons lewens doen is altyd ‘goeie’ werk met die vooruitsig om wonderlike dinge te lewer. Die goeie werk wat Hy besig is om in jou te doen is ‘n voortdurende proses, maar dit sal voltooi word. Gebed: Vader, dank U dat U besig is om in my lewe te werk. U is besig om ‘n wonderlike en ‘n goeie werk in lyn met U doel en planne vir my lewe, te doen. Ek gruip U werk in my lewe aan. Amen. Todos somos un trabajo en curso. El Señor no ha terminado contigo todavía y continuará trabajando en ti durante toda tu vida. El trabajo que hace en nuestras vidas siempre es bueno y la perspectiva es algo maravilloso. El trabajo que está haciendo contigo está en proceso, pero será completado. Oración: Señor, gracias porque Tú estás trabajando en mi vida. Estás haciendo un buen trabajo, en línea con Tus propósitos y planes para mi vida. Acepto Tu trabajo en mi vida. Amén. Nous sommes tous une œuvre en cours! Le Seigneur n’a pas encore fini avec toi et Il continuera à travailler dans ta vie. Le travail qu’il accomplit dans nos vies est toujours une ‘bonne’ œuvre dans la perspective de choses merveilleuses. La bonne œuvre qu’Il accomplit en toi est un processus continu, mais il sera achevé. Prière: Seigneur, merci de ce que tu es à l’œuvre dans ma vie. Tu accompli un excellent et un bon travail conformément à Tes plans et desseins pour ma vie. J’embrasse Ton œuvre dans ma vie. Amen. Tayong lahat ay patuloy na trinatrabaho! Ang Panginoon ay hindi pa tapos sa iyo at Siya ay patuloy na tratrabahuhin ang iyong buhay. Ang Gawain na ginagawa Niya sa ating buhay ay palaging mabuting trabaho na may kasamang kahanga hangang mga bagay. Ang ginagawa niyang trabaho sa iyo ay isang trabahong patuloy na ginagawa ngunit ito ay matatapos din. Dasal: Panginoon, salamat po na Kayo ay patuloy na trinatrabaho ang aking buhay. Kahangahanga ang ginagawa Mong trabaho sa akin, na may plano at layunin sa aking buhay. Aking yinayakap ang ginagawa Mong trabaho sa aking buhay. Amen.